They haven't used any agricultural chemical for 30 years, and dare to cover the tea leaves from the sun not to gain the bitterness before harvesting. Such leaves called 'kabuse maccha' has really good aroma and taste. It becomes more and more popular and hard to get them, but once you eat, you'll agree with that. 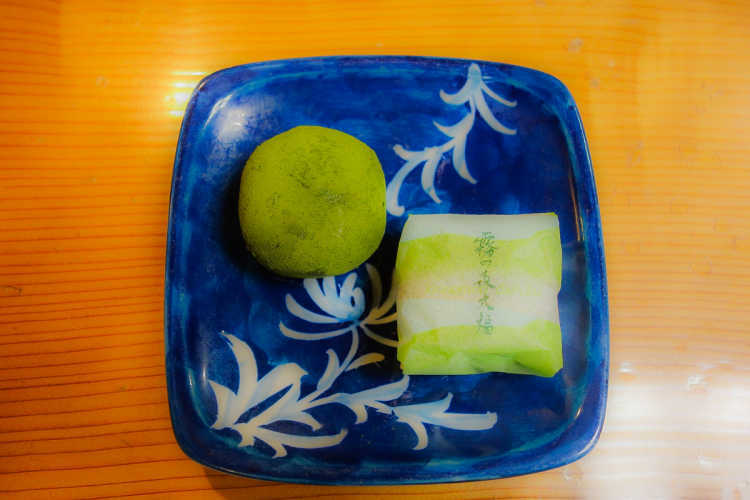 Kiri-no Mori means misty forest, and Daifuku is a soft round rice cake filled with sweet foodstuffs such as bean jam.